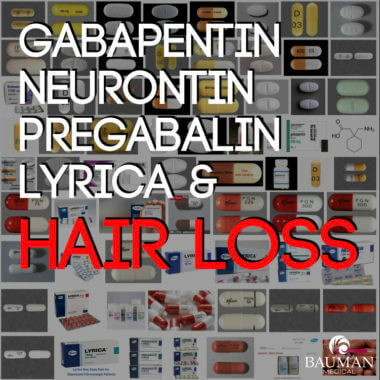 Hair Loss Awareness Month "Cheat Sheet"
Do Gabapentin Neurontin and Pregabalin Lyrica Cause Hair Loss? 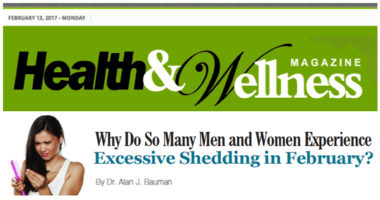 Why do so many men and women experience excessive shedding in February? 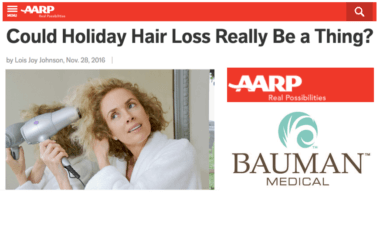 ARTICLE: Could Holiday Hair Loss Really Be a Thing? 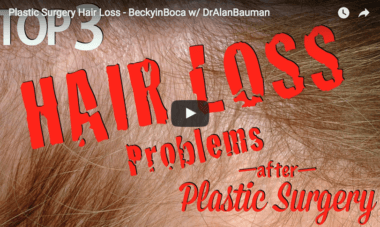 RADIO INTERVIEW: What’s New for Hair Loss and Hair Transplants in 2017? 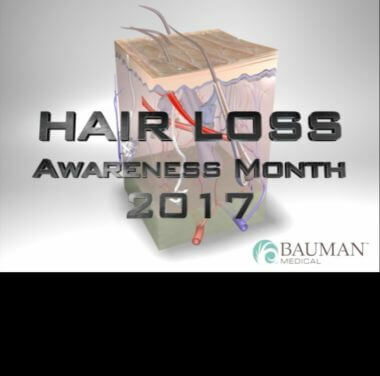 Many Patients Ask "What's New for Hair Loss in 2017?" 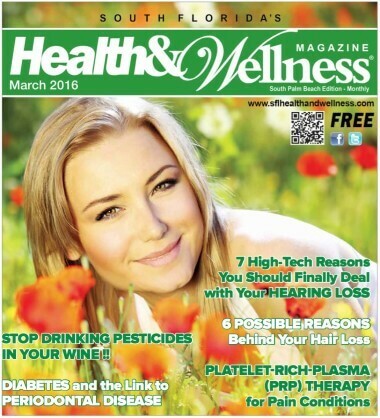 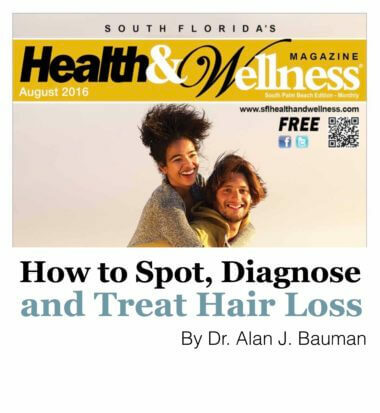 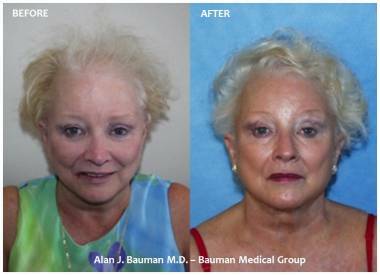 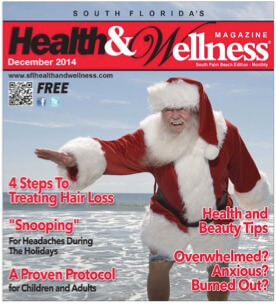 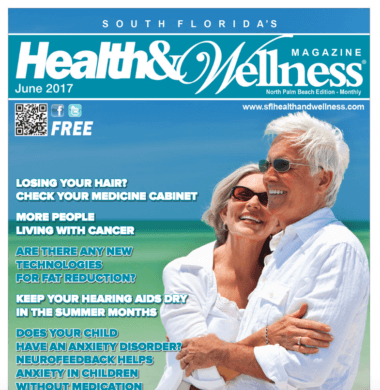 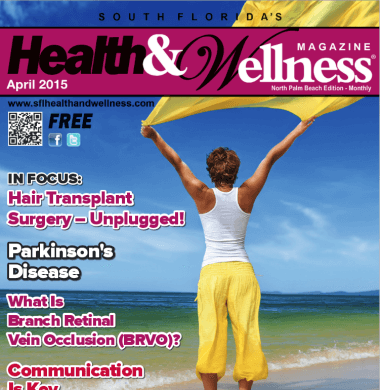 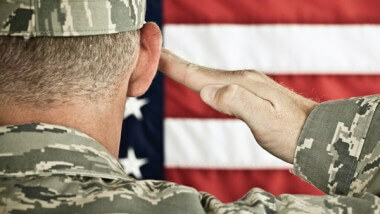 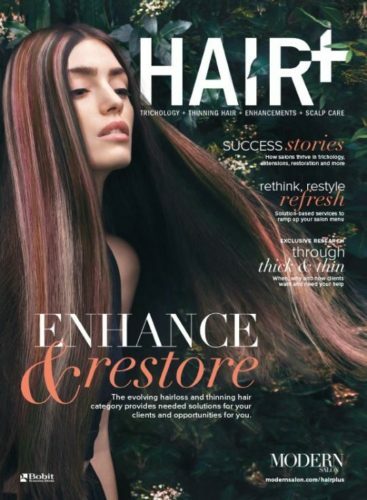 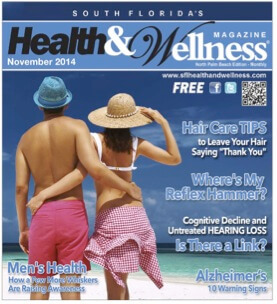 Listen to Hair Loss Expert, Dr. Alan J. Bauman, M.D. 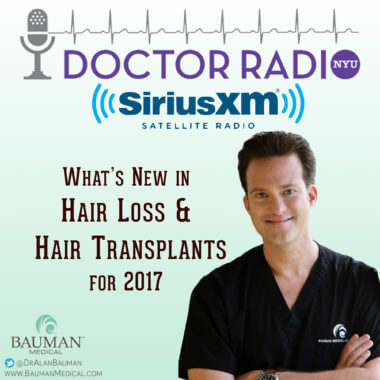 as he returns to SiriusXM Doctor Radio to discuss the latest in hair transplants and other medical therapies for hair restoration. 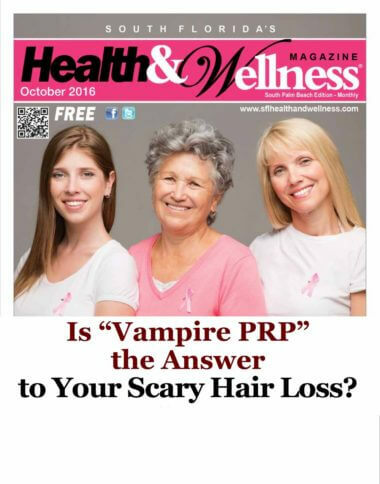 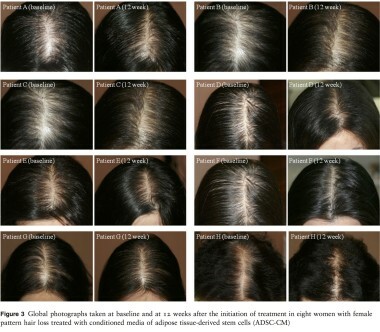 Is Vampire PRP the Answer to Scary Hair Loss? 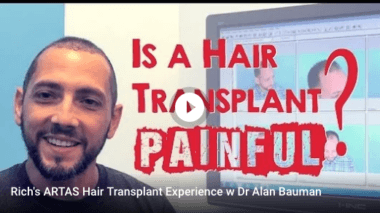 VIDEO: Is a Hair Transplant PAINFUL? 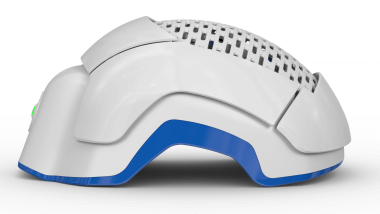 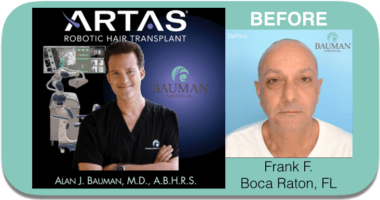 You’re invited to watch Dr. Alan J. Bauman at work with ARTAS to recreate and restore Frank’s youthful head of hair! 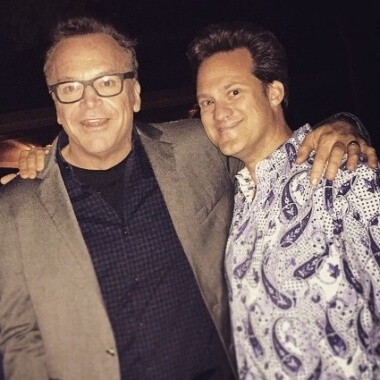 Dr. Alan J. Bauman met with celebrity Tom Arnold at the VIP event supporting the Palm Beach International Film Festival and exchanged tweets related to hair and hair loss. 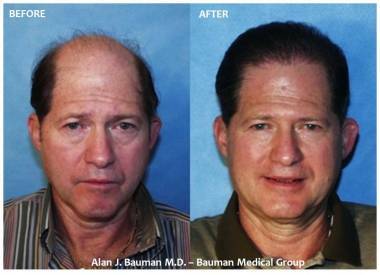 What is the best way to lower a high or receding hairline? 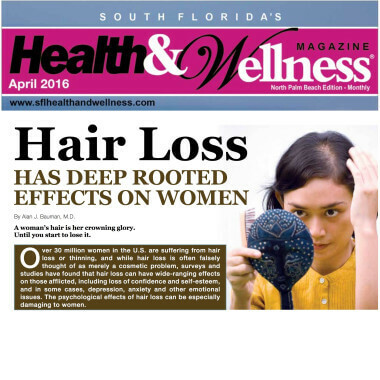 December 2014 - About 8/0 million men and women in the U.S. suffer from some degree of hair loss. 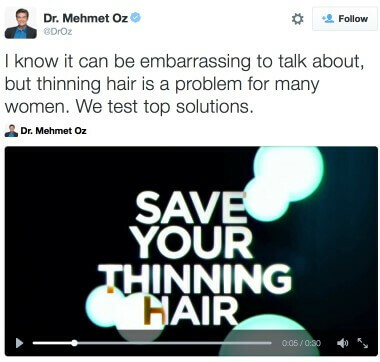 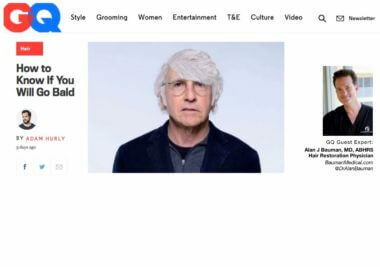 Luckily, thanks to years of research, clinical trials, new technologies and state-of-the-art therapies, in most cases, hair loss is a treatable condition.